Harvest is a great time of year to remind us to give thanks to God for all He is and all He does and all He has given us. Giving thanks also reminds us of how God has blessed us and that encourages us to be generous. 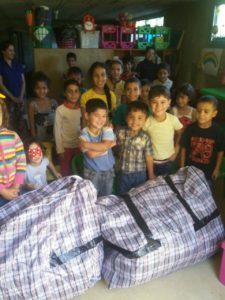 Below is a wonderful photograph of some children in the Lebanon receiving some of the clothes donated by you. Thank you for your generosity. 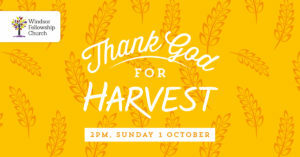 We have a “Thank God for Harvest” event coming up on Sunday 1st October at 2pm. It will be a fun filled, all age family event. There will be games and crafts and activities and food, and a short talk about giving thanks to God for all he has given us. Please pray for this event and think about who you can invite to come with you? Additionally, during our normal church meeting from 4pm, on the 1st October, we have Ruth from Compassion International coming to tell us about her experiences growing up in South East Asia as a sponsored child. There will be an opportunity for us to think whether we could sponsor a child ourselves, perhaps that could be your harvest gift this year.